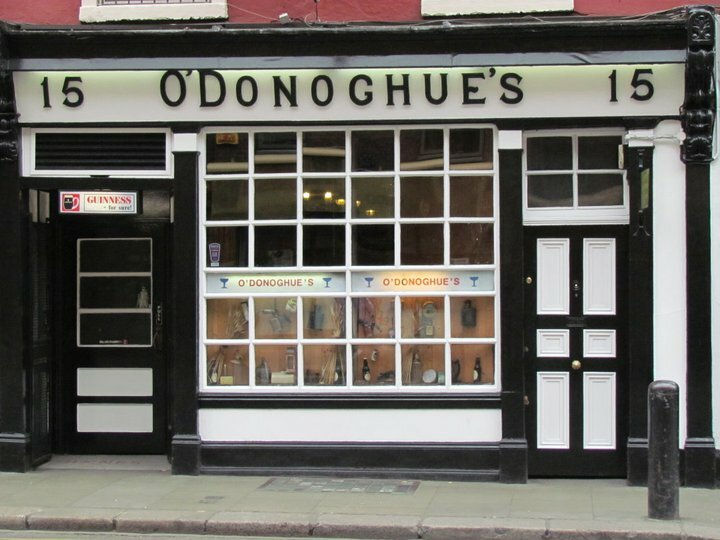 O’Donoghue’s, with it’s live traditional music associations tends to get a good amount of overseas visitors in. They’ve done something quite clever to broaden their appeal and make sure that more and more people pay a pilgrimage when they’re in Ireland. 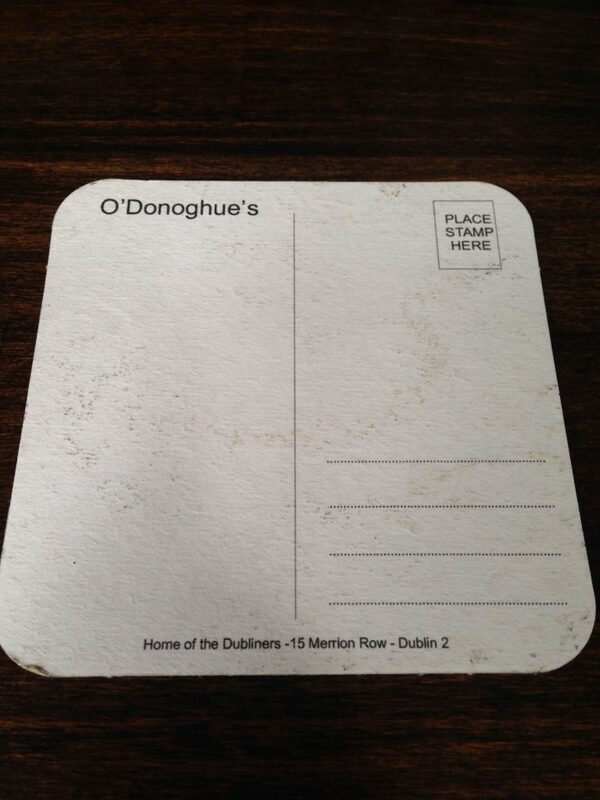 They have specially made O’Donoghue’s postcard beer mats. 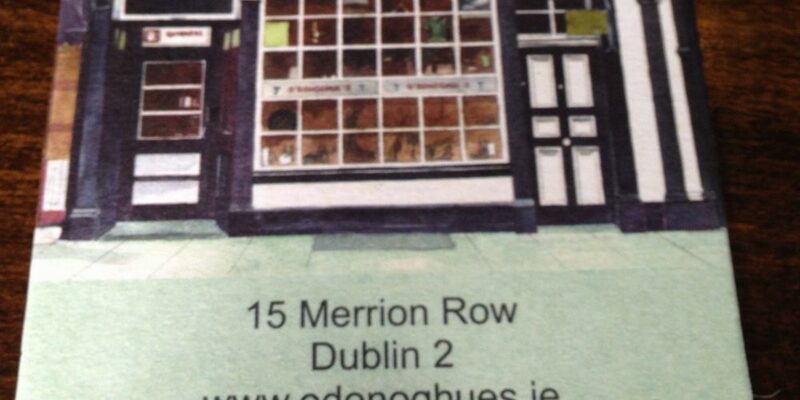 On the front is a photo of the pub, and on the back space for an address, stamp, and short message. If you’re in during the day, you can even g a few doors down and post it from the post office. 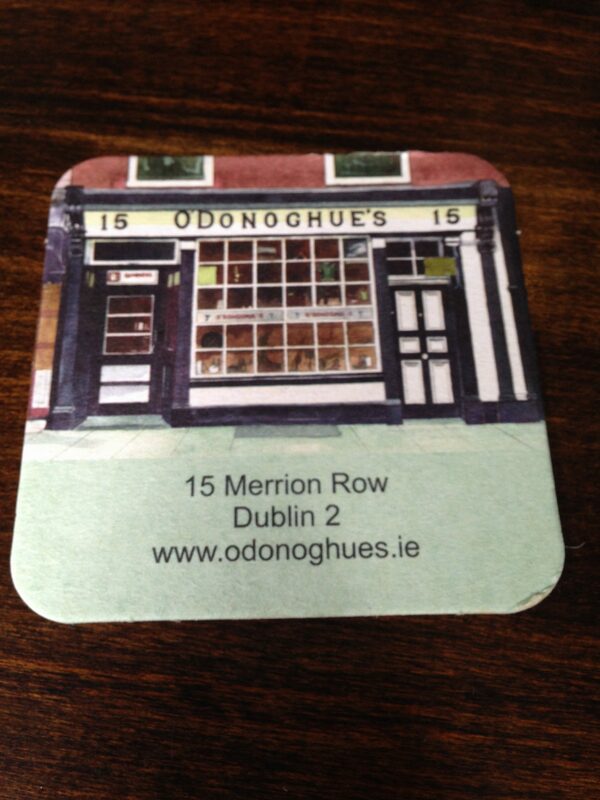 We’ll be sending one to a friend in Uruguay just letting them know that we were in having a pint. It’s a cute little bit of marketing that might result in a good story or two.